The ETC 6 Circuit White SmartBar 2 (Bi-phase Cable In, Stage Pin Out) is designed for dimming for portable or permanent installations. 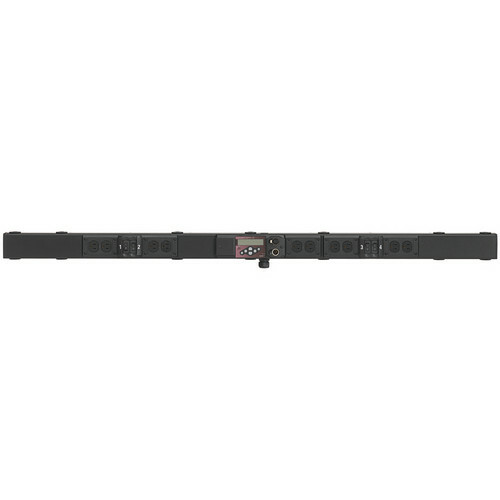 It provides an integrated dimming and fixture-mounting solution for compact, low-power applications, such as rentals, industrials, or even small touring productions. This smart bar sets up the system fast and is ideal for schools, houses of worship, community theaters, and outdoor events. It is fully digital with operational and programming features similar to smartPack such as sequences (chases) and choice of dimmer curves. Box Dimensions (LxWxH) 30.0 x 8.0 x 6.0"